Meditation: Why is it becoming so popular? In recent years the practice of meditation has become much more mainstream. Major companies now offering courses in meditation and mindfulness to their employees. Doctors are recommending meditation to their patients to reduce stress and improve health. 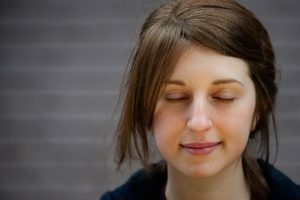 So how does one begin the practice of meditation, and what are some of the benefits? Choose a quiet place to meditate and sit in a comfortable position. You can sit in the traditional cross-legged posture or in any other position that is comfortable. You can even sit in a chair. The most important thing is to keep the back straight to prevent the mind from becoming sluggish or sleepy. Sit with the eyes partially closed and turn your attention to the breath. Breathe naturally, preferably through the nostrils, without attempting to control the breath, and try to become aware of the sensation of the breath as it enters and leaves the nostrils. This sensation is the object of this meditation. Try to concentrate on it to the exclusion of everything else. If distractions arise, simply bring the attention back to the breath. One meditation session need only take ten or fifteen minutes. What are some benefits of meditation? Just by doing breathing meditation for a few minutes each day, we can reduce our stress, experience a calm, spacious feeling in the mind, and many of our usual problems will fall away. Difficult situations will become easier to deal with, and we will find that we begin to feel warm and well disposed towards other people. With continued meditation experience, our stress levels will decrease, our health will improve, and our relationships will become more satisfying. Gen Kelsang Khedrub will be teaching a four week course entitled Meditation and Buddhist Psychology starting Thursday, October 27th (item# F8971). Next in this series – meditation and patience . 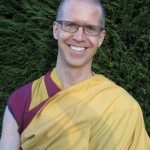 . .
Gen Kelsang Khedrub, a western Buddhist monk for over 20 years, is a new instructor at Bellevue College. Having taught a course in meditation last spring term, he is scheduled to teach a four week class on Meditation and Buddhist Psychology starting October 27th, as well as two Saturday workshops on January 21st and March 11th.